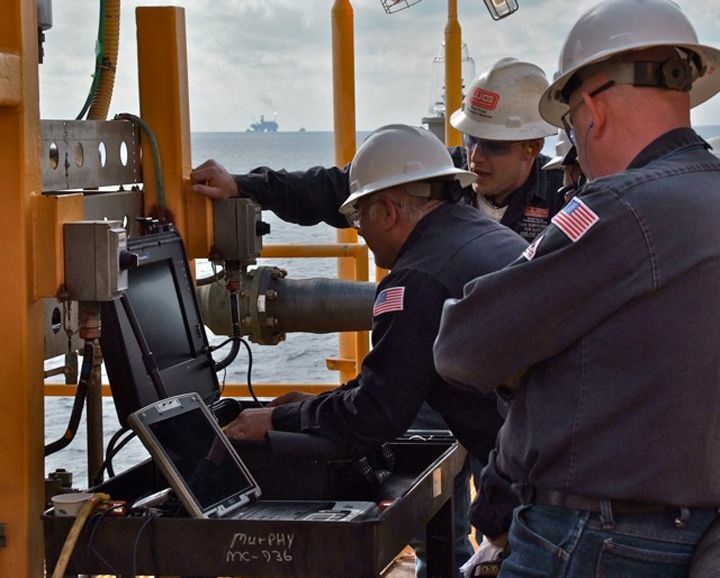 Historically in the offshore oil and natural gas industry, large, expensive, and cumbersome work-class ROVs have handled the bulk of observation tasks on offshore rigs and vessels. 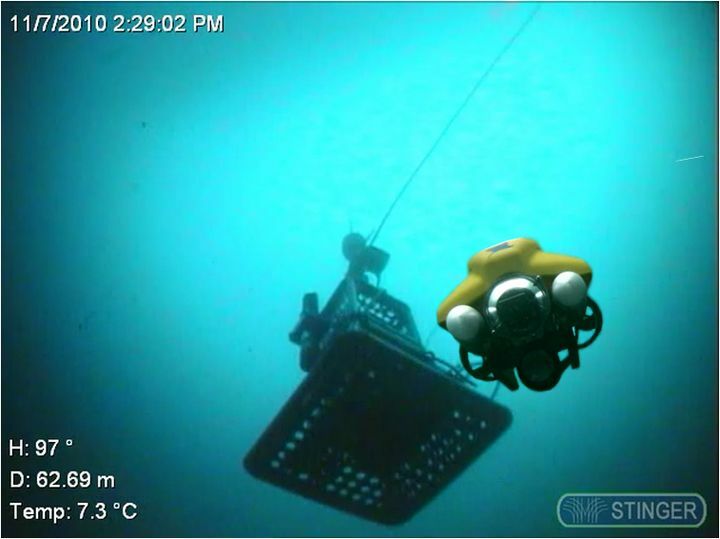 Recently the demand for a more portable, affordable, easily and quickly deployable, and "disposable" observation class ROV has been prevalent to supplement the large work-class ROV in simple observation tasks. 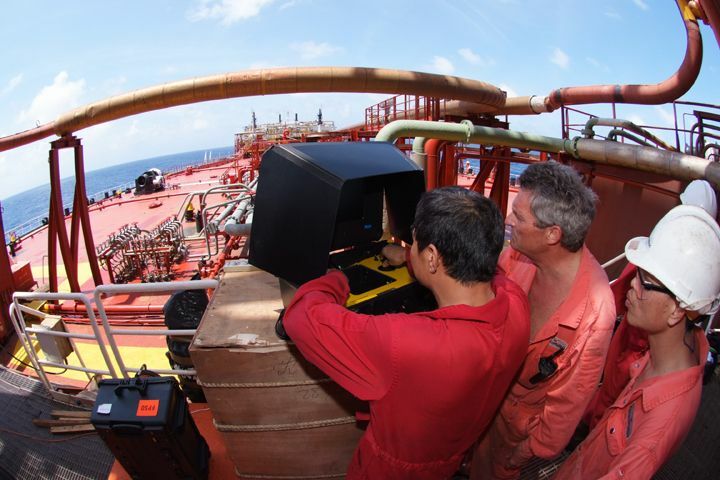 VideoRay ROVs have been deployed at offshore sites around the world from FPSO (Floating Production Storage and Offloading) vessels and jack-up rigs to quickly capture high quality video. 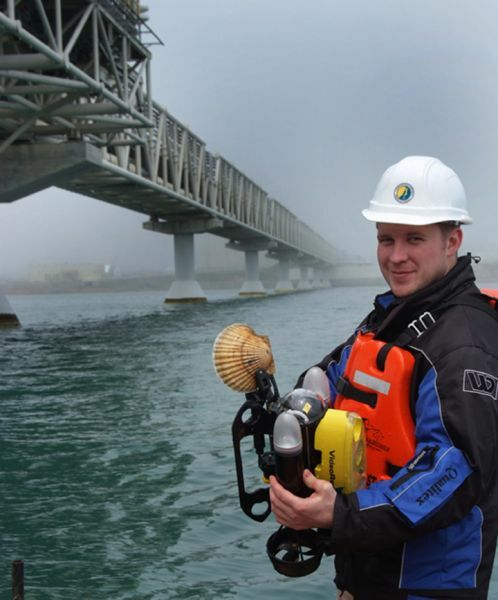 Engineers find the video invaluable to their underwater placement efforts and Project Managers value the added quality and safety measurements provided by the VideoRay ROV video. VideoRay P4 OG 300 Oil & Gas Offshore ROV Configuration. 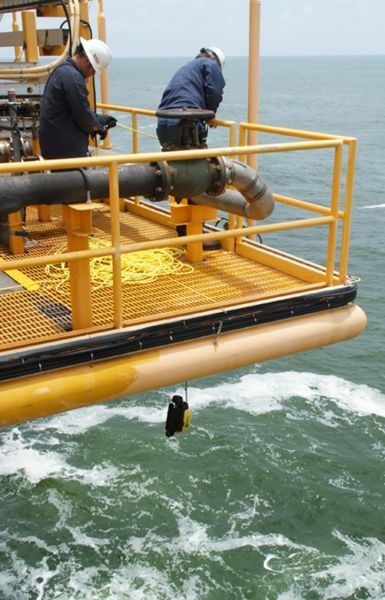 Launching the VideoRay Pro 4 submersible off a rig can be done by hand or with the assistance of a LARS. Typical VideoRay Pro 4 Control station set-up on a rig. It can be moved by one person to an alternate location in minutes. 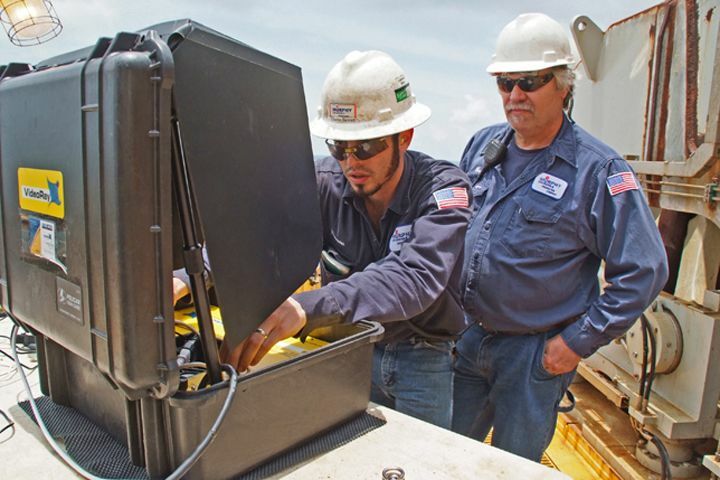 Rugged VideoRay P4 Control Panel with a Toughbook PC can take a lot of abuse on a rig - it's also extremely easy to pilot. 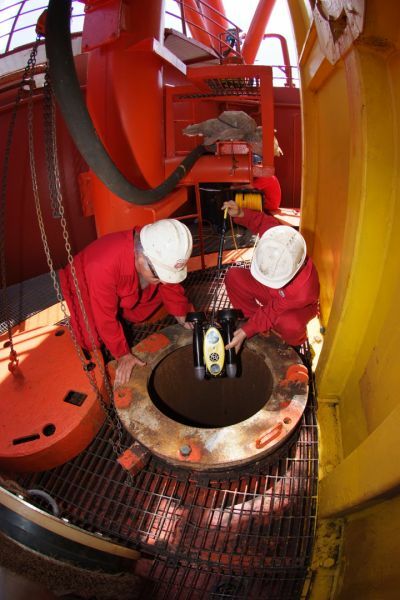 The compact size of the submersible means it can reach places that other larger ROVs cannot - here it is deployed down a riser turret to inspect an FPSO anchoring system. 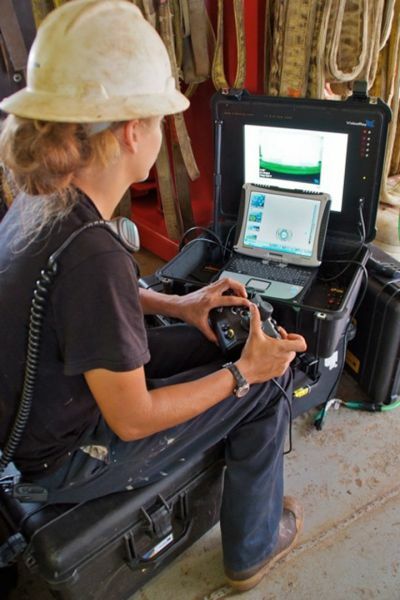 The VideoRay ROV control panel's small "footprint" means it can be set-up and piloted from nearly anywhere. 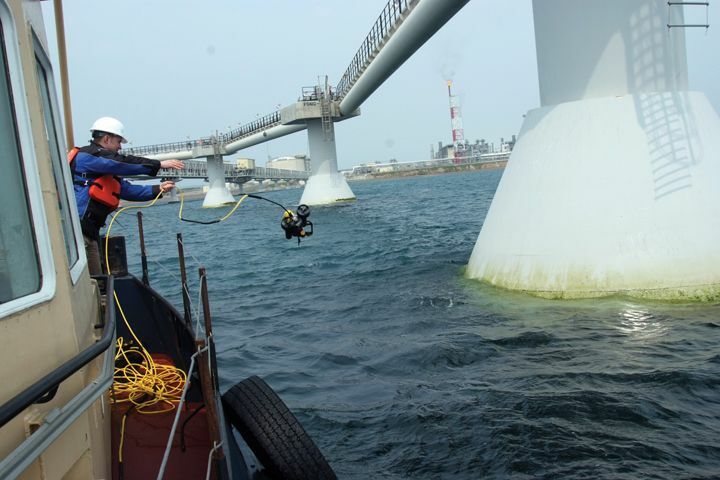 Launching a VideoRay ROV to inspect footings on a LNG pipeline in Sakhalin Russia. 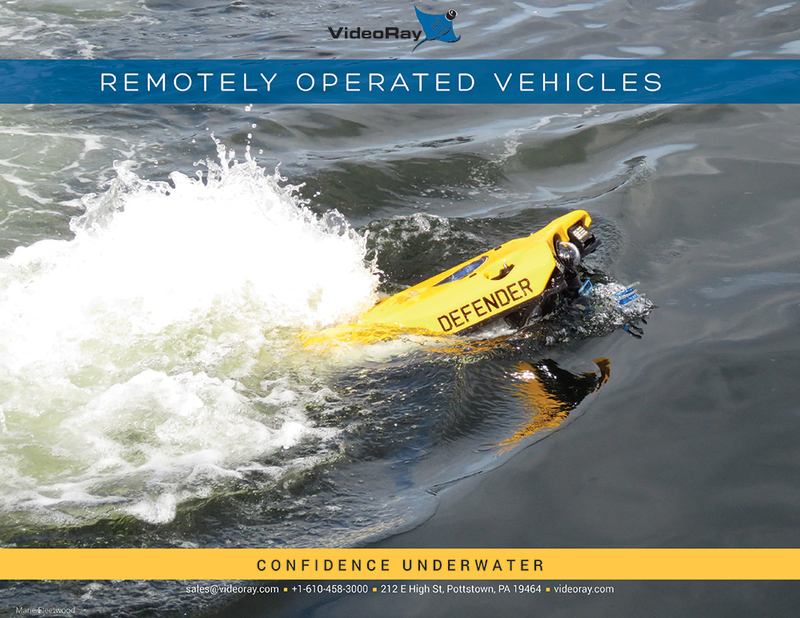 Multiple team members are trained on the VideoRay ROV system allowing anyone to be successful on a mission. 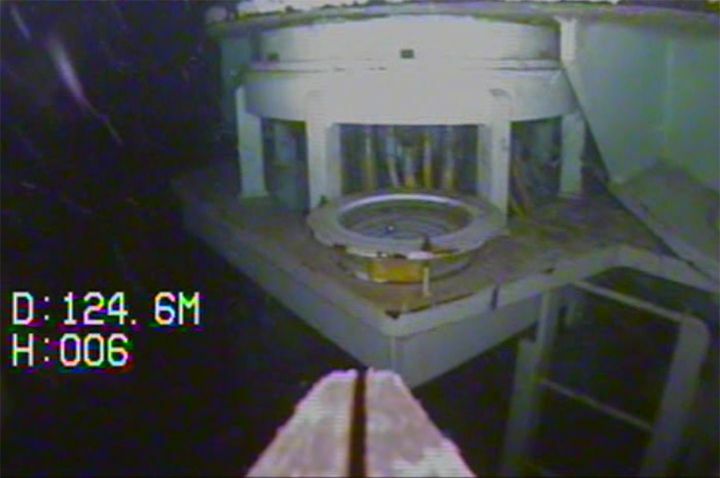 Still video image from the VideoRay ROV approaching the bulls eye indicator for a visual. 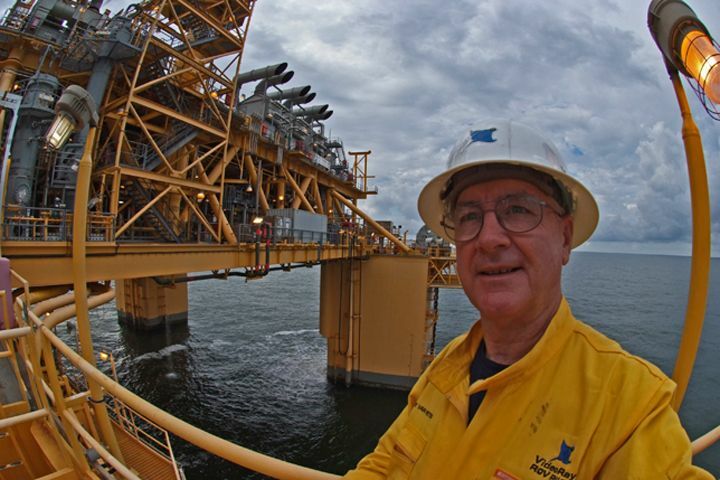 Offshore VideoRay ROV professional Steve Van Meter with one of his famous self portraits. 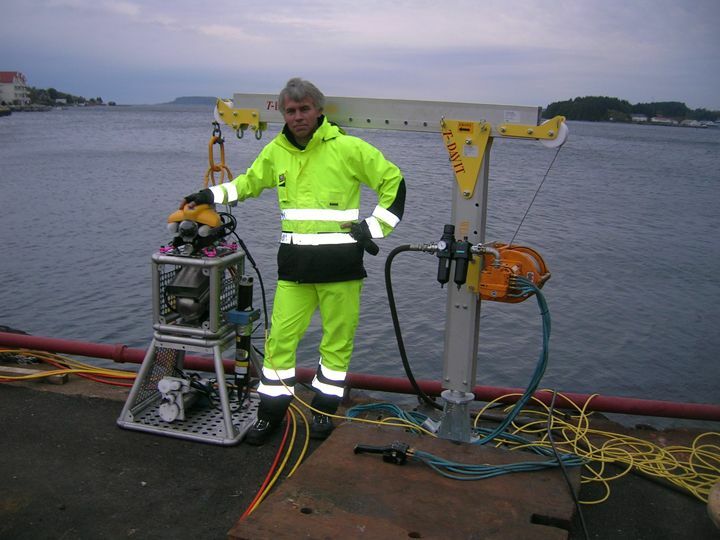 Bjarte Langeland of Stinger Technology AS, an offshore specialist company in Norway, with his Methane Sniffer rig that includes a VideoRay Pro 4 ROV. The Stinger Technology VideoRay Pro 4 leaving the sniffer rig - still image from their other Pro 4. 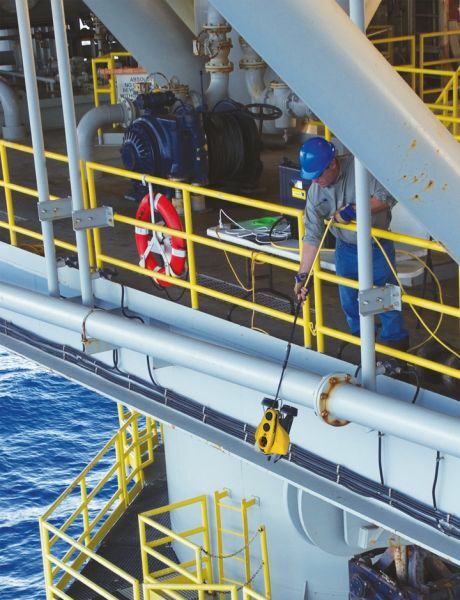 The ability to launch the VideoRay Pro 4 from anywhere on the rig means more coverage and more data. 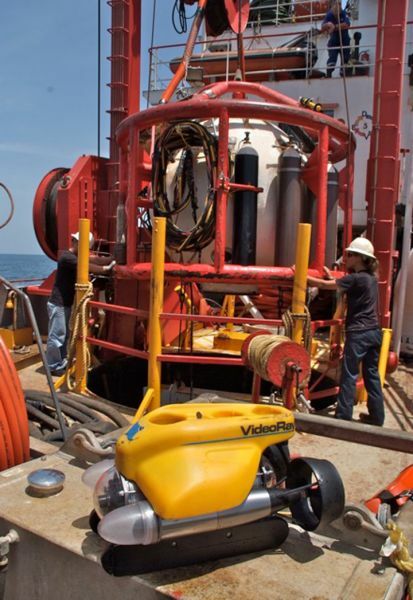 Piloting the VideoRay ROV in the Gulf of Mexico. 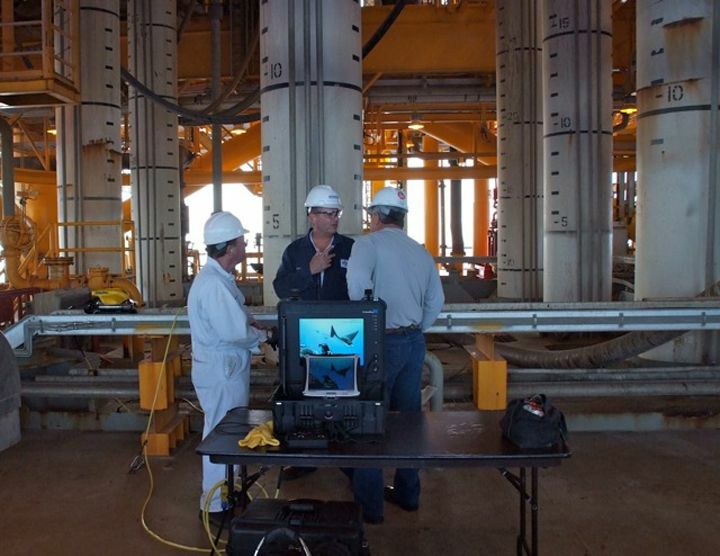 VideoRay with a Shell and Shell Oil personnel in Sakhalin Russia.